Bring new life to old things with just a few paint strokes. 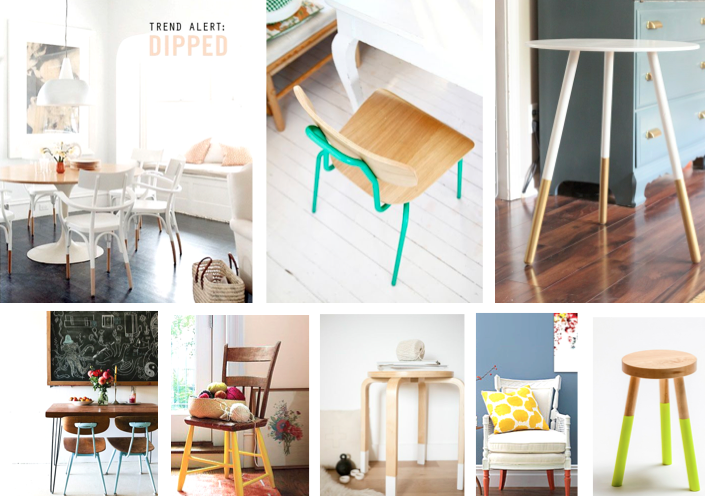 Been noticing this trend in furniture and kinda digging it. 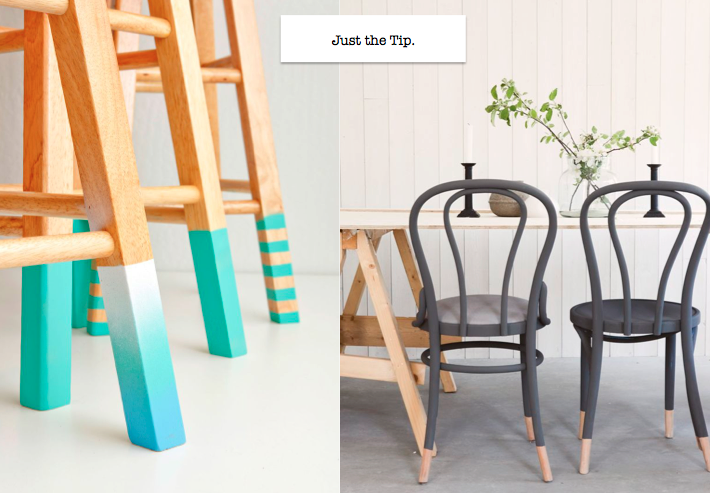 All it takes is a small can of your favorite pop color of paint, your old chair or side table, four strips of tape and a few minutes of time…and ta da! Need some inspiration? Check these out…cute, right? Home Depot makes small tester paint cans for less than $5 – so if you are unsure of that crazy color you want to try, you don’t have to commit to more than a few bucks!